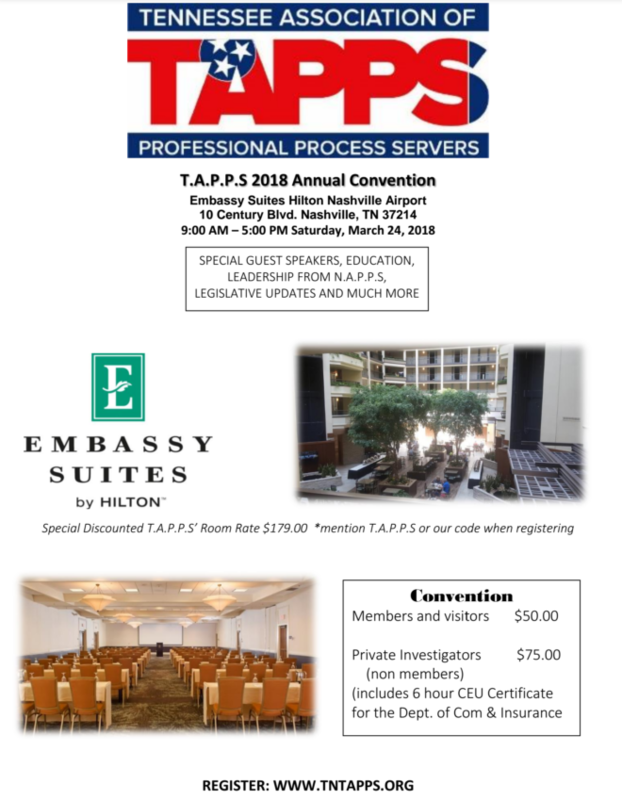 Join us March 24, 2018 in Nashville, TN for our annual Board and Membership meeting at the Embassy Suites by Hilton Airport. Rooms available for $179.00. We look forward to seeing our Members, our NAPPS guests, and our guest speakers. Private Investigators who attend will receive a Certificate for SIX CE credit hours to apply towards your required training.